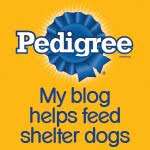 Today's "theme" at the BlogPaws Wordless Wednesday Hop is "New Kid on the Block" or "NKOTB". In this case they mean a new member to the BlogPaws Community: Check out this new blogger and welcome her to the ever-growing BlogPaws Community! And speaking of BlogPaws, check out the Nose-to Nose Social Media and Pet Blogging Awards Finalists just announced yesterday. There are a total of 48 finalists in a dozen different categories! Let's all put our paws together in a round of applause for all of these deserving finalists...and check out their blogs to see what all the fuss is about! On with the BlogPaws Wordless Wednesday Hop...here are a few pictures of our very first BlogPaws conference-we look like NKOTB, don't we? That's Andrea Arden from Animal Planet fame on my left. 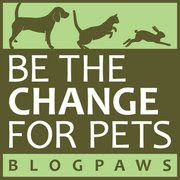 Don't be a newbie any longer-join today's BlogPaws Wordless Wednesday Hop and be part of the "In Crowd"!